Filed to: Help!Filed to: Help! Maybe this kind of question belongs on another kind of forum - I don't know. Here's my problem. I need new brake calipers by Saturday. Napa can supply the driver's side and Advance can supply the passenger side. Guy at Advance claims that it doesn't matter that they aren't perfectly matching parts and that performance will be the same. Should I trust him? 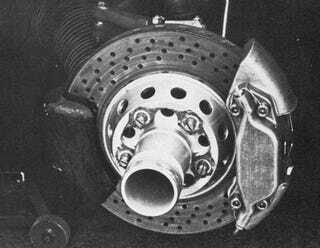 Everything else, such as rotors and pads, will match.